"Thanksgiving in turn-of-the-20th century America used to look a heckuva lot like Halloween." Rustico Beach, Prince Edward Island, eastern Canada, 1916. From the Musée McCord Museum. VIEW-5943 Rustico Beach, PE, 1916 (?) Wm. Notman & Son Probably 1916, 20th century Notman photographic Archives - McCord Museum. 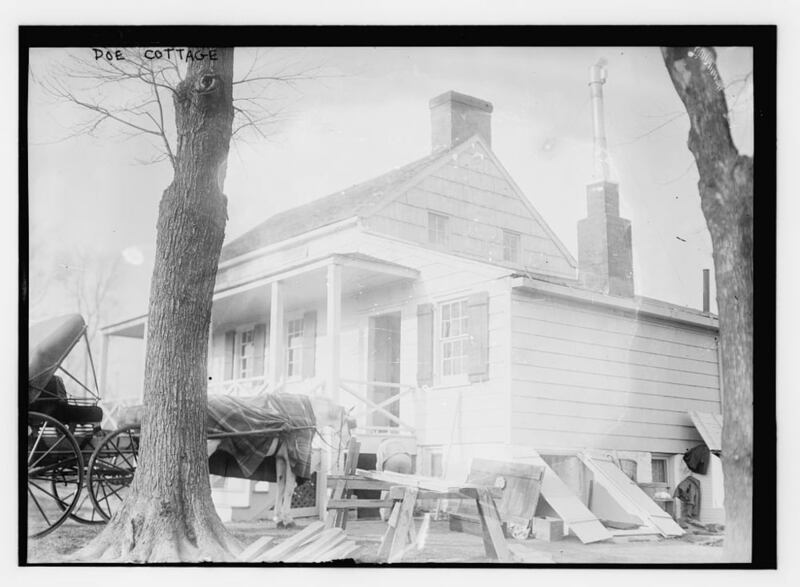 In this home, Poe wrote his poems "Annabel Lee" and "Ulalume" reportedly while the family cat sat on his shoulder. Located on Kingsbridge Road and the Grand Concourse in The Bronx, New York. Library of Congress photo taken circa 1910-1915. 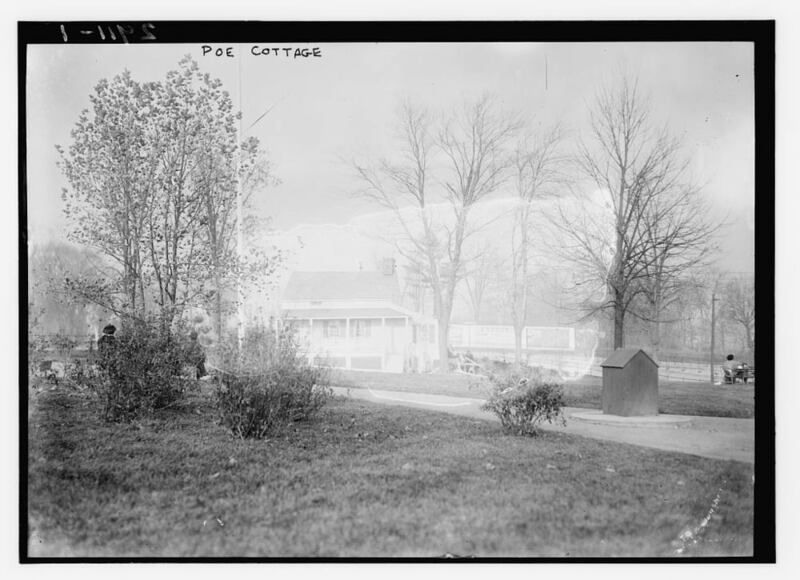 In 1905, it was announced that $100,000 had been authorized by the state legislature for the restoration of the cottage and creation of a park in which to house the cottage after the owners were reported to be denying visitors access to the cottage. One hundred years ago in New Orleans. "A Merry Christmas and a Happy New Year" message in lights strung over Canal Street near the intersection of Exchange Alley; Old Godchaux building visible at left. Date December 1916. Author: John Tibule Mendes. Wikimedia Commons.